"Jane Goodall’s research center on the shores of a Tanzanian lake pulsates with the passions, perils, and promises of the 1960s in Dale Peterson’s The Ghosts of Gombe." "It’s challenging to put together a complete picture so long after they happened, but Peterson uses letters, camp records, and personal accounts to tell the story artfully... Jane Goodall has spent a lifetime trying to understand the behaviors and relationships of the apes in Tanzania. With The Ghosts of Gombe, Dale Peterson has attempted to do the same for the people who made her research possible. It is the similarities between these two endeavors that make his book a worthwhile read." 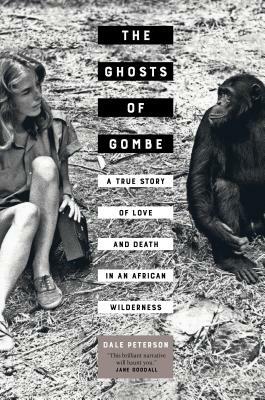 "An impressively informative and inherently fascinating read from cover to cover, "The Ghosts of Gombe: A True Story of Love and Death in an African Wilderness" is an extraordinary and unique study that is exceptionally well written, organized and presented... especially and unreservedly recommended for both community and academic library collections." "Peterson’s engrossing, sometimes dizzyingly kaleidoscopic narrative is bookended by nuanced analyses of how Davis might have died, and the aftershocks that still rock those who knew her best."